Life As Mom is having a recipe swap today. The theme is your signature dish. I wasn’t going to participate in the recipe swap at first because I was not sure I really had one. But once I thought about it I think maybe I do. My Thick and Chewy Chocolate Cookies. These cookies are so good and my Toffee Chocolate Pecan version of them did win me $1000 recently. So, I do have a signature dish. If you have not tried my Thick and Chewy Chocolate Cookies or my Chocolate Toffee Pecan Cookies you really should. I think I am going to make some today. Those look yummy! I will have to bookmark the Chocolate Toffee Cookies. I could so see myself having one (or two, or three….lol) with a cup of coffee in the afternoon! 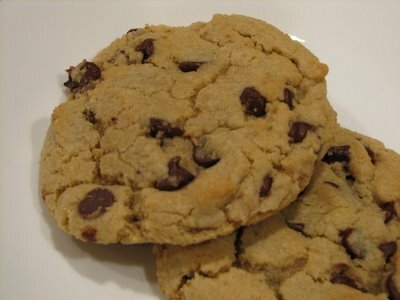 I am a cookie fanatic, love them all!D Thanks for sharing your signature dishes. Yes, you do have a sig dish. “The lady that makes those cookies” — that says it all. Congrats on winning a prize, too! How fun! Hi! Found you over at Life as Mom. Your cookies look so yummy–I can’t wait to try! 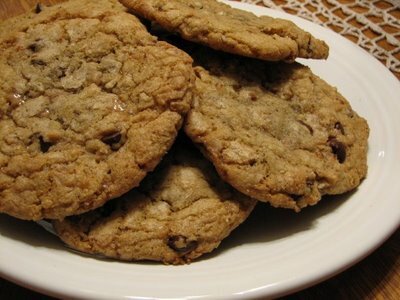 I just love thick and chewy cc cookies so I’ll try your signature recipe. Thanks for the link to the recipe exchange too ! Best cookie dough Ever! My extended family loves These! @sara, I am so glad that you enjoyed them.